lead to desired outcomes in plant quality, yield and flavor. in the metabolic processes of agricultural crops and ornamental crops. registration, which have been specially developed by Osram. software which can be used intuitively via the graphical user interface. 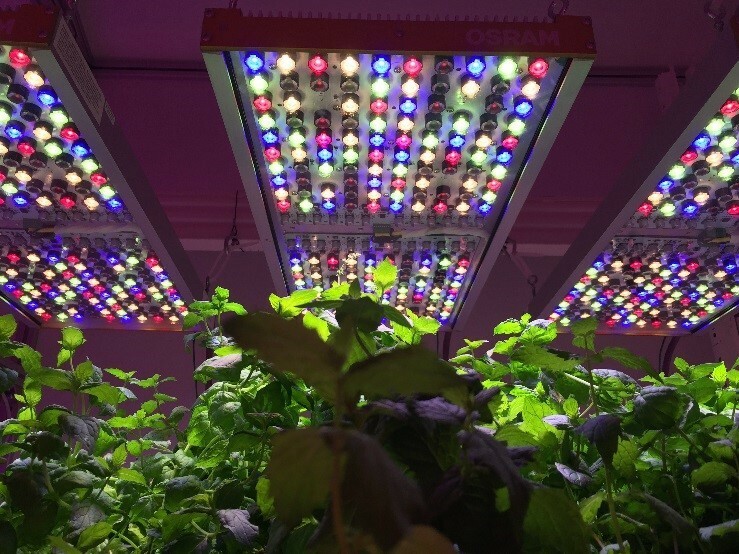 is optimized for vertical farms, rack systems and growth chambers. anthocyanins and taste, conducted in a climate chamber at the TU Munich. Frankfurt and Munich under ISIN: LED 400 (WKN) and OSR (trading symbol). Additional information can be found www.osram.com.